Taiwanese SoC maker MediaTek is expanding the 12 nm Helio SoC family with the A-series that is dedicated to entry-level devices. The Helio A22 SoC is already featured in the Xiaomi Redmi 6A and comes with four ARM Cortex-A53 cores clocked at 2.0 GHz. Most important features are the LPDDR3/4X support, LTE cat 7/13 capabilities, and advanced AI application compatibility. 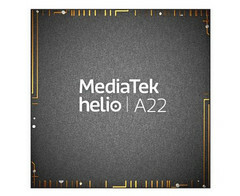 The Helio SoC family from MediaTek is getting expanded with the A-series chips aimed at the ”mid-market”. The new Helio A (Advanced) series is designed for the US$100+ handhelds, which makes it a direct contender for Qualcomm’s Snapdragon 400 series. Additionally, MediaTek will provide drivers to support the Android NNAPI, so that the entry-level handhelds could run more demanding AI applications. The first device to integrate the Helio A22 SoC is Xiaomi’s Redmi 6A, which offers premium features usually seen in more expansive phones for the low price of US$110.